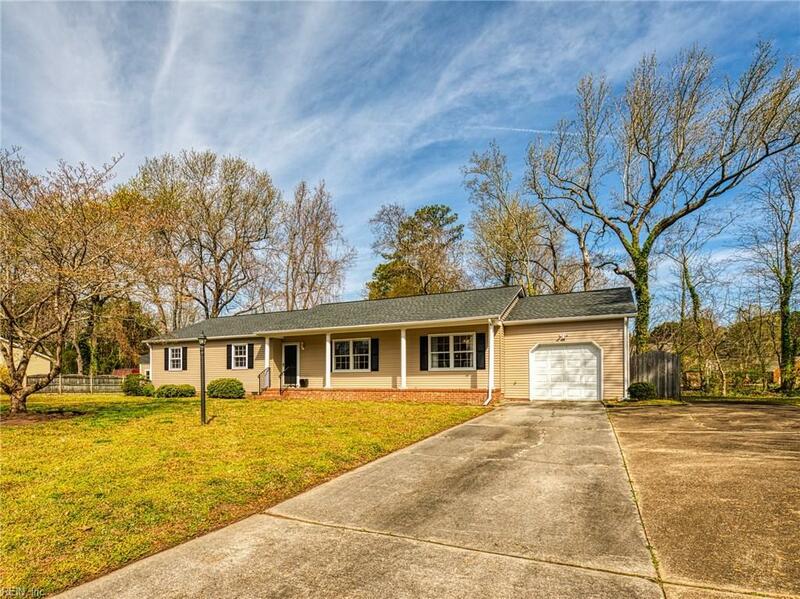 Beautiful Ranch in the well sought out coastal community of Poquoson. Entering this home, you are greeted with an open concept floor plan and an abundance of natural light which flows throughout. Never miss a beat entertaining your guests with an open concept living space and kitchen. 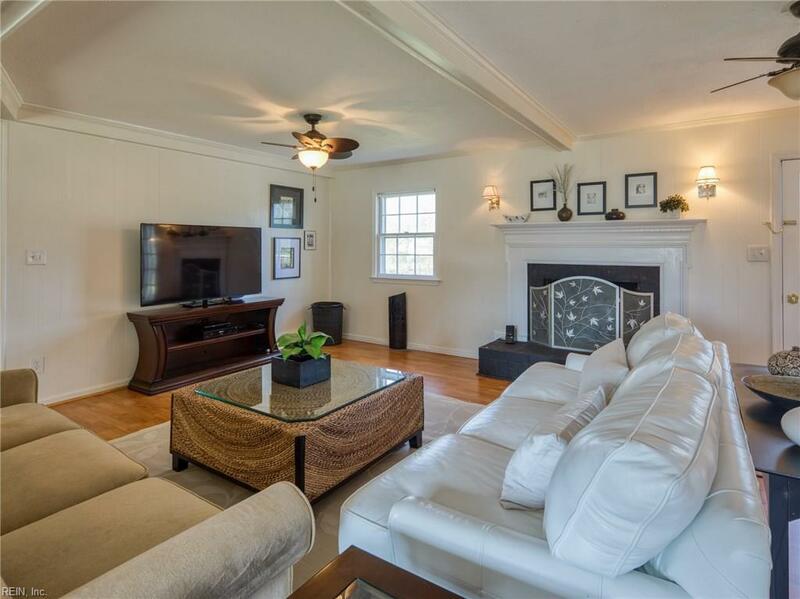 Sit back and relax next to the wood burning fireplace in the living area which also features sconce lighting and handsome beams. 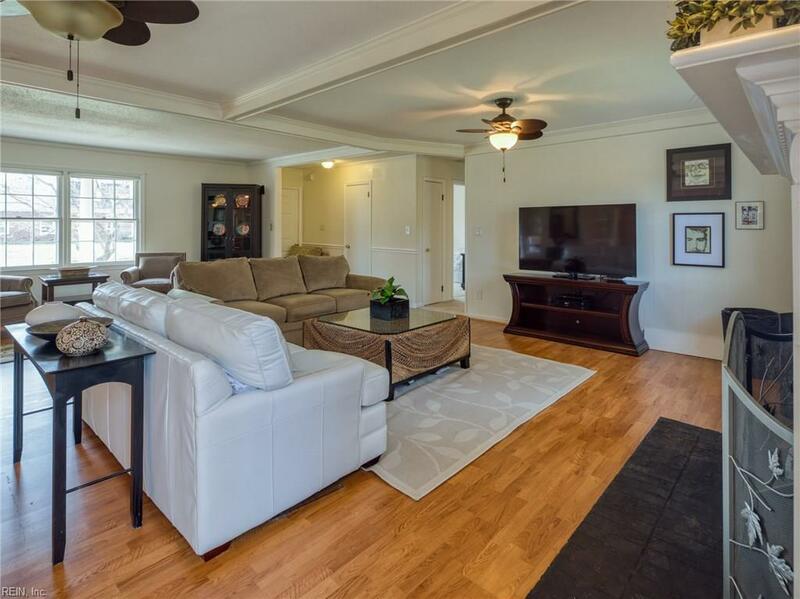 Just off the living room is the kitchen which boasts granite counter tops, stainless steel appliances, a breakfast bar, spotlights and beautiful light fixtures. Just off the kitchen is a well-appointed formal dining room perfect for enjoying intimate dinners with your family and friends. Adjacent to the kitchen and dining area is a spacious master suite and 2 bedrooms with a convenient hall bath. Other features to include a back deck, newer roof, water heater 2011 and on a dead-end street. 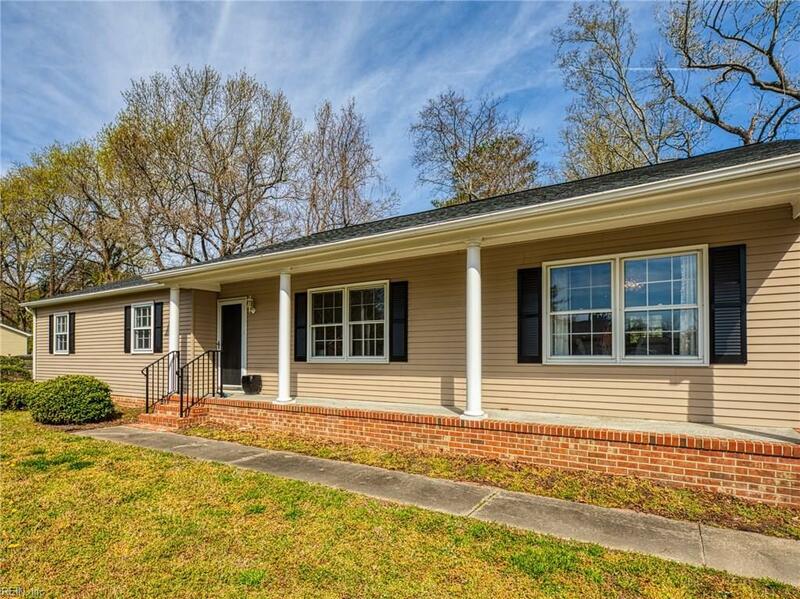 Located nearby Joint Base Langley-Eustis, NASA, I-64, Newport News, and Yorktown and more.